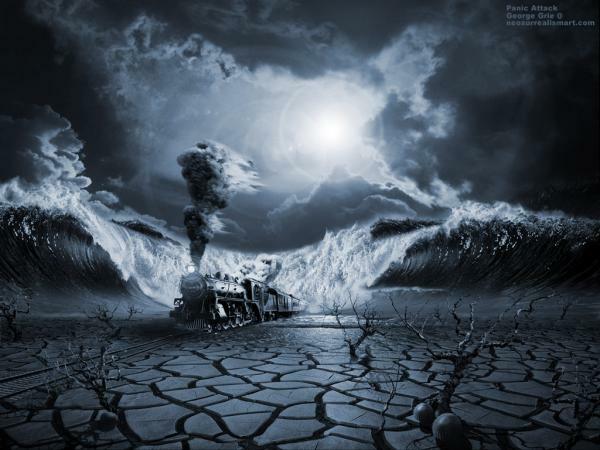 This is a painting by George Grie, who is considered a Neo Surrealist. Neo-surrealism is a combination of classic surrealism mixed with modern fantasy and visionary art, and he was influenced by Salvador Dali who was a surrealist. This painting stuck out when i was reasearching because it looked like it was straight out of a dream. The idea of a train comming out of a tsunami wave onto dry desserted land just looked really cool. Also, the detail is amazing.